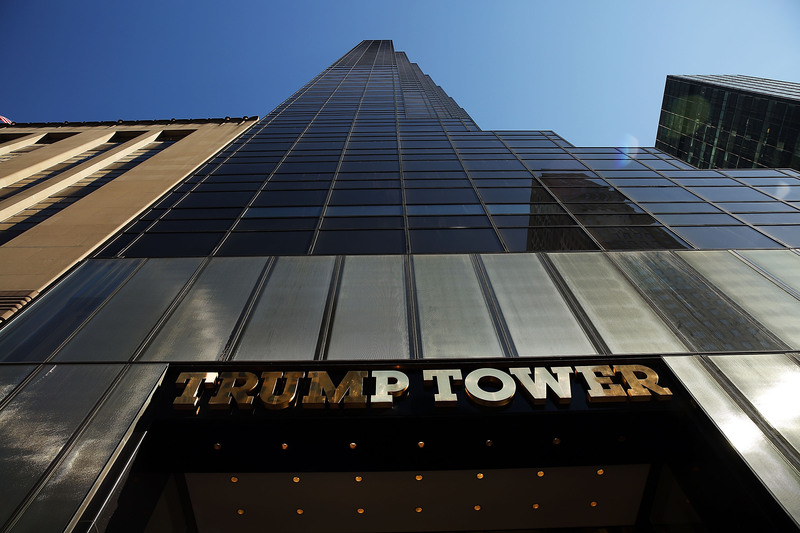 NEW YORK — Trump Tower in Manhattan was briefly evacuated Tuesday afternoon due to a suspicious package, police said. NYPD Assistant Commissioner for Communication and Public Information J. Peter Donald tweeted that the tower was all clear following the earlier suspicious package in the lobby. He had said earlier that “out of an abundance of caution” the NYPD Bomb Squad was responding. New York Police Department spokesman Stephen Davis said the backpack was found near the entrance to a Niketown store in the building. The bomb squad checked out the package and gave an “all clear” just after 5 p.m.
Video posted to social media appeared to show people running out of the building as they were being directed by police. President-elect Donald Trump lives in the tower and has his offices there, though he was at his Mar-a-Lago estate in Florida at the time. Trump’s press secretary at the White House, Sean Spicer, tweeted following the incident thanking the NYPD.